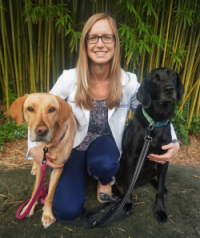 Allison O’Kell, D.V.M., a small animal internal medicine specialist and clinical assistant professor at the University of Florida College of Veterinary Medicine, has received a Mentored Clinical Scientist Research Career Development Award from the National Institutes of Health in support of her studies relating to canine diabetes. The five-year grant, known as a K08, will support O’Kell’s career and research project. O’Kell’s primary mentor is Mark Atkinson, Ph.D., the American Diabetes Association Eminent Scholar for Diabetes Research and Jeffrey Keene Family Professor in the UF College of Medicine. Atkinson also directs the UF Diabetes Institute and has been investigating human Type 1 diabetes for over 30 years. 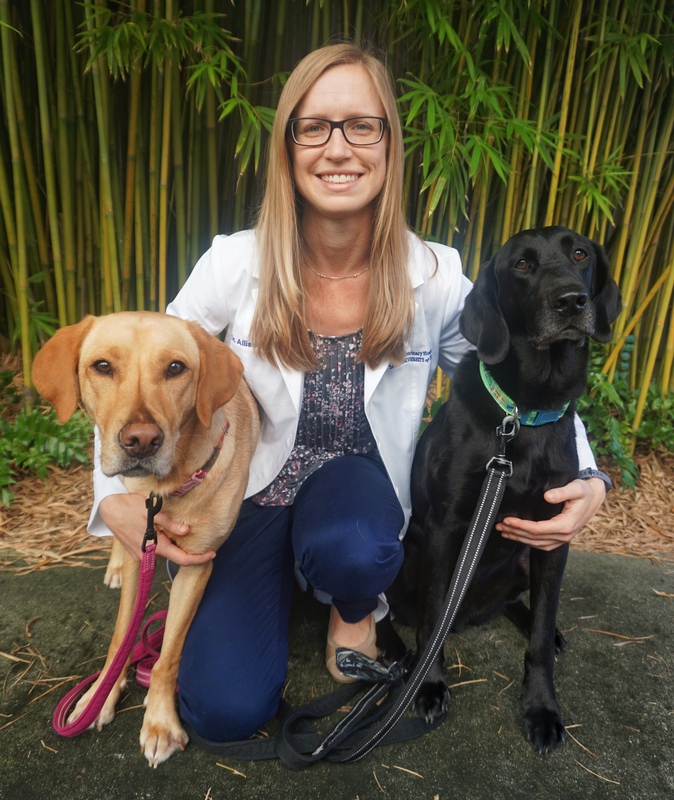 Her co-mentor is Rowan Milner, B.V.Sc., Ph.D., the Hills Professor of Oncology and interim director of clinical and translational research at the UF College of Veterinary Medicine. Milner has extensive experience in veterinary clinical research and the translational study of dogs as a model of human cancers. O’Kell will be studying diabetic dogs to better define the function of the pancreas over time, and will be investigating metabolic blood markers. She also will be evaluating the role of immune system dysfunction in the disease and is seeking to identify possible biomarkers of early disease, or pre-diabetes. To accomplish these goals, O’Kell will be recruiting diabetic dogs as well as healthy control dogs for several different study components. Dogs will need to visit the UF Small Animal Hospital to participate in the study but otherwise remain with their owners. For more information about O’Kell’s clinical trial and inclusion criteria, visit the study website or call 352-392-2235. Funding reported on in this news release was awarded by the National Institutes of Health under grant K08DK116735.